Hyundai Motor India Limited’s Managing Director Mr. Young Key Koo, at the commencement of the 20th Foundation Day celebrations of Hyundai Motor India announced Hyundai’s vision of attaining ‘market leadership position in the Indian automobile market’, ‘becoming the most beloved and trusted auto brand in India’, ‘a modern premium brand with products and services beyond customer expectations’ and ‘a great place to work’. 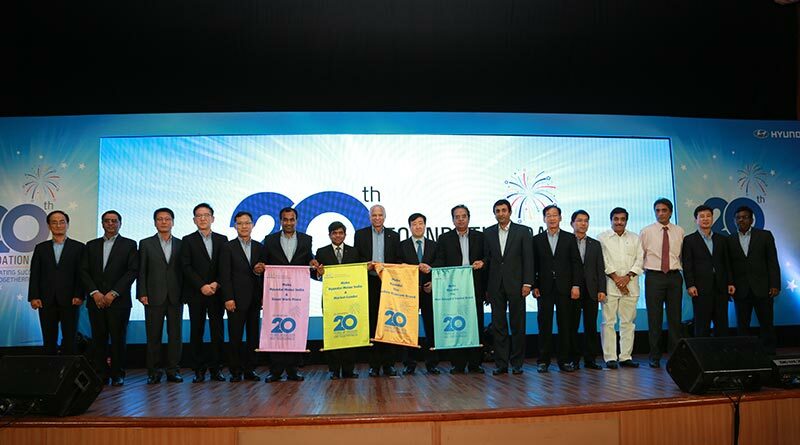 Exactly 20 years ago, HMIL, India’s second largest car manufacturer and largest exporter laid the foundation for its factory in India on 6th May, 1996 and began operations on September 1998 by commissioning its first integrated car manufacturing plant outside Korea in Sriperumbudur near Chennai. They became a trend setter from day 1 by introducing contemporary products based on advanced technology. The Iconic tallboy ‘Santro’ was the first car in India to be based on the MPFI engine as against the prevailing carburetor based engines favoured by competition. Mr. YK Koo spoke about Hyundai’s vision to reach more customers by launching 2 new products every year, expanding its footprint across the country to offer the customer, products and services beyond their expectation. More GDSI & digital showrooms, automated workshops, introduction of ‘Experience Hyundai’ programmes for brand & product, sponsorships etc. are in the offing. HMIL’s state–of–the- art manufacturing facility is being upgraded and automated periodically. Currently, the investments stand at 3.1 billion USD with vendor investment at 1.5 billion USD. 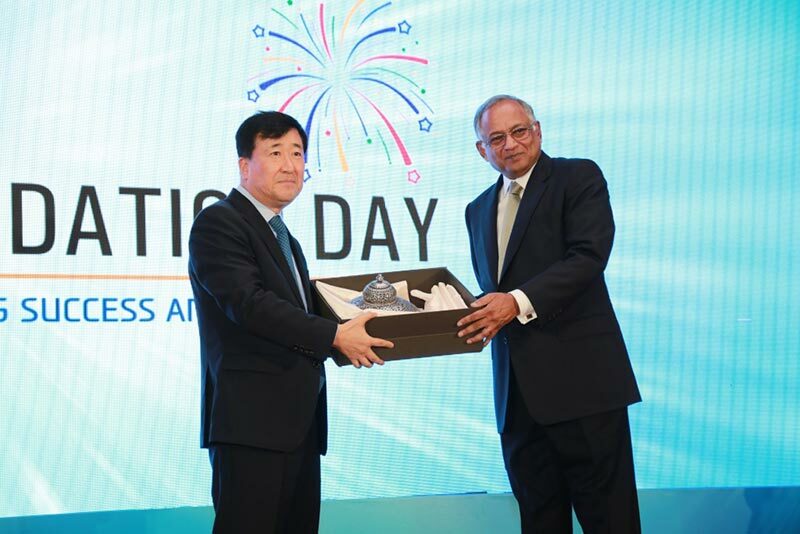 The top management of HMIL, vendors & dealer partners, received a baton-scroll from Mr. YK Koo, as a token of their pledge & strong commitment to achieve Hyundai Motor India’s vision of becoming ‘a market leader’, ‘the most beloved & trusted car brand through modern premium brand experience’ and ‘a great place to work’. As part of the yearlong celebrations, HMIL has also launched a new logo to illustrate its 20 years of success and togetherness in India. As a gesture of appreciation and goodwill, HMIL will organize a grand carnival for its employees at the factory premise, over the weekend.